Music is one of the basic colours of our lifes. Why just listen to it? Let's play it, create it and express ourselves! - Which subjects do you teach? 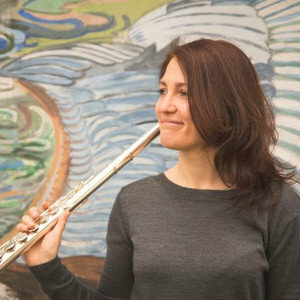 I teach flute (piccolo, alto and bass flute as well) up to professional level. Repertoire: from baroque to the latest contemporary music. I also teach recorder or Fife to very young pupils, in order to prepare them for playing the flute. I try to teach Music Theory as much as possible during my Flute lessons, but I also prepare students specifically for ABRSM Music Theory exams. I am happy to conduct the lessons in English as well as in Italian, German, Slovenian or Spanish language. I teach Italian (native speaker) at all levels and German up to A-Level standard. Bachelor degree of Music from the Conservatory of Music in Trieste, Italy (final mark: 110/110). Bachelor of Arts at the University of Literature, Trieste, Italy (final mark: 110/110). MUSIC: I charge £25 for 30 minutes, £30 for 45 minutes and £35 per hour. I'm also available to teach at my pupils homes. Depending on the location, I may ask you to cover my travel costs. Consultation flute lesson is 10 pounds at my home and 20 punds if at students' homes. 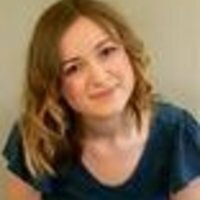 LANGUAGES: I charge £25/h for teaching the Italian language and £23/h for teaching German. I'm also available to teach at my pupils homes. Depending on the location, I may ask you to cover my travel costs (3-4 pounds). I teach at my home, in our bright living room but I'm available to travel to my pupils homes. I can teach languages via Skype as well. I can travel to North and North East London, South East and South West London, West London. My time is very flexible so I can be available most weekdays and evenings. We can arrange the lesson also in the weekends. I am usually available during halfterm holidays, but I go back home to Italy 1 week during Christmas and Easter time. MUSIC: I like to teach all ages and levels. For the very young pupils I suggest to start with the recorder or with a small plastic flute called Fife, until they grow up enough for starting with the normal flute. There are also some flutes with a curved headjoint, which help them to start playing the flute although their body is not ready yet for playing the normal size flute. 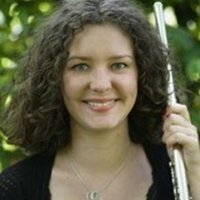 For advanced flute-players: I have a good knowledge of the extended techniques on flute and have been working on flute repertoire by composers like Sciarrino and Ferneyhough and many others. If you think you need some support in developing on your instrument the new sounds used by contemporary composers, I can help you. 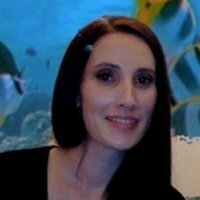 LANGUAGES: I teach Italian all ages and levels. Whereas I teach German up to A-level. For Italian I use either books Nuovo Espresso for adults and Forte for children or I custom the lessons around the student's needs and wishes. Specially with children I like to use the TPR method (Total Physical Response). For teaching German I recommend the book Spectrum Deutsch, recently released by Schubert Verlag. I love using music while teaching languages, I invite my students to create a playlist of songs in the chosen foreign language and listen to it regularly. I help prepare students for their ABRSM or Trinity Guildhall Prep tests and exams Grades 1 to 8 in Flute or in Music Theory. 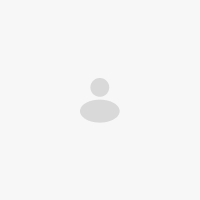 I have never taught flute on line, but I am open to it on request with a Skype connection on off peak times. Tutoring on line it's probably not the best solution for a long-term teaching, but it can easily be used as an exceptional teaching for specific needs. Adult students could for example solve some questions about the extended techniques or the notation of contemporary music with singular lessons on line. I have been teaching German and Italian online within the online school Ad Meliora Academy since 2016. Skype is not a limit in teaching languages: I use links to show short videos, to complete some online language games, to send a grammar file, to write an interactive homework. Teaching children via Skype is also very funny and effective. One of our best tutors! High-quality profile, qualifications verified and response guaranteed. Zinajda will plan your first lesson with care. 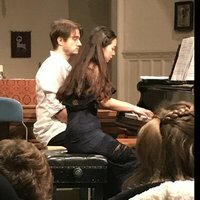 I have many years of experience in individual and group tutoring and I am currently performing in orchestras and ensembles as a freelance player including the London Contemporary Orchestra, Distractfold Ensemble from Manchester, the ensemble Klangforum Wien and Ensemble Schallfeld in Austria and the Ensemble BlaueReiter in Germany. -one year of project in the Slovenian kindergarten organized by the School Sv. Jakob in Trieste to introduce children into the world of rhythm, instruments and melodies. 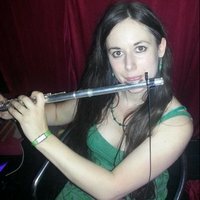 I tutor flute privately since I was 20. 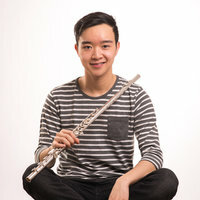 - as a piccolo player I have been playing for three years in the Vienna Youth Orchestra and for one year at the Opera orchestra of Cagliari in Italy. I am working since 2011 at the National Italian Radio RAI broadcasting as esseyst and classic music reviewer. 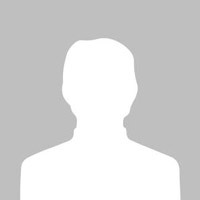 Languages: I have privately taught German to many students up to A-level and I have taught Italian and Italian Literature at the public school in Italy to students of age 14-19. Since 2016 I teach languages online at the Ad Meliora Academy. I currently don't have an up to date DBS, because I moved to London recently and the documents need more time to be elaborated. I've recently completed the NSPCC Programme in Child Protection Awareness in Music. I received my first music education in Trieste in Italy until my Bachelor degree. After this I completed my higher Master's degrees in Graz, Austria. In the first part of my studies the Italian teacher Luisa Sello helped my development in the basic approach to the flute repertoire of all styles. During a semester at the University of Music in Vienna I then learned to play the piccolo with the Principal piccolo player of the Vienna symphony orchestra Raphael Leone. In the second part of my education I firstly concentrated on learning the repertoire for flute written by composers of the German speaking region with the teacher Nils-Thilo KrÃ¤mer. Afterwards I deepened my knowledge of contemporary repertoire under the tutoring led by the members of the ensemble Klangforum Wien and discovered a rich world of new sounds on flute. The flutists Eva Furrer and Vera Fischer (and Mario Caroli during many summer courses) gave me the possibility to enhance my technique in this direction and to feel free and comfortable expressing myself with the new language. LANGUAGES: I am a grat lover of grammar in any language. 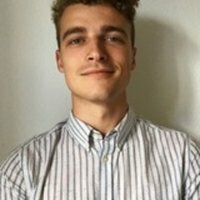 I am italian native speaker and I have studied and worked in Austria since 2009, learning the language very well. I have studied German and German Literature at the University of Trieste. I am full member of the Incorporated Society of Musicians, therefore I have a public liability insurance. Olga really cares about her daughter's music lessons. We talk about lesson's contents and the improvement of her child. She encourages her daughter to practice and helps her out with arising challenges. Great pupil's parent! Part 2/2 She is patient and full of positive energy, always smiling and never puting tensions between her and her students. It was a real pleasure to work with her. 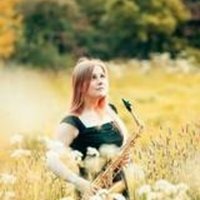 I came to the flute from the perspective of a jazz saxophone player who wanted to learn a more legitimate technique, so I wanted to focus on sound and articulation. Zinajda was excellent at adapting her methods to my best advantage. I always looked forward to my flute lessons because as well as learning a lot we always had a lot of fun. Zinajda is so passionate aboute the flute it's contagious! I unreservedly recommend her. When did you first develop a passion for music and your favourite instrument? Zinajda — I started playing the recorder when I was 6 and did it very naturally as if it was part of the everyday routine: brush my teeth, go to school, practice, go to the music school. But I developed a passion for music in my late teens, because I entered the Music Academy and was surrounded by people like me. Is there a particular type of music or artist that you listen to on a loop without it driving you crazy? Zinajda — I never did the experiment. But every moment of my life has its own different background music. It can be Dvorak or Jeff Buckley, Mozart or Beyonce, Balkan folk music or jazz standards. They all excite me at the right time. Explain to us the most difficult or riveting course you could personally give to a student of music. Zinajda — Play, dance, sing and circular breathe at the same time. Kidding. But if you want, I do teach circular breathing. And it's quite a fun challenge for everyone. What do you think is the most complicated instrument to master and why? Zinajda — For me (I am quite a visual person) it would probably be the voice. You don't see anything happening. You have to feel it. I know you don't necessarily see the flute either when you are playing it but that's why I practice in front of a mirror. Zinajda — Love what you do and give as much as you can. Then adjust the balance with the rest: family, social life, contact with nature, water the plants on the shelf, cook dinner, answer to all the emails, organise childcare, stay fit, call mum. I never succeeded. Maybe I should change the definition. Name three musicians you dream of meeting in your favourite bar in the early hours of the morning. Explain why. Zinajda — Ian Bostridge, his Winterreise makes me cry with joy. Adele, her voice makes me laugh with joy. Meta, my cousin. She lives far away. I'd love to meet her in my favourite bar in the early hours of the morning. Provide a valuable anecdote related to music or your days at music school. Zinajda — My teacher said to me: "Every time they ask you to play in a performance, always answer YES." When I was young, actually too young and inexperienced to play as a soloist with an orchestra, someone asked me to play. They asked: "Have you done it before?" and I replied, "Yes, of course I have!" It all went well, thankfully, Vivaldi's Cardellino, but at the end of the concert, the conductor came to me: "Congratulations on your first performance as a soloist. Well done!" 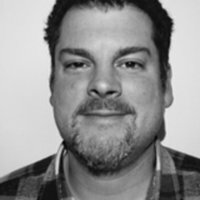 What are the little touches that make you a Superprof in music? Zinajda — I don't play 3, 4, 5 instruments. I only play and teach recorder and flute. I have spent the last 25 years practising and mastering them. I think ... I know them rather well. And if by any chance I don't have the answer to any of your doubts, I will know where to find it.